Nainital nostalgia overtakes Rosh, as he remembers flirting with a girl while holidaying in Nainital. His friend Shank had guided the novice lover into romance. Rosh sat alone at the summit, gazing at the vista spread beneath him. He was at China Peak, over 2.5 kilometers (approximately 8,600 feet) above sea-level, at the highest point in Nainital. 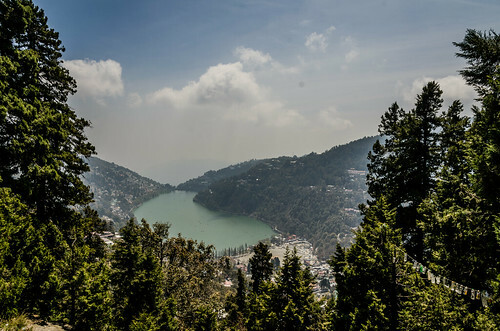 Nainital had been a popular Indian hill station since the British Raj in India. It was set in a valley and contained a lake which looked like an eye at certain angles from above the surrounding hills. Hence its name Naini – Taal, meaning eye-shaped lake. The beautiful lake was about two miles in circumference. It lay cradled by mountains, the highest of which were Naina on the north, Deopath on the west, and Ayarpath on the south. In Nainital district, the Kumaon ranges rise abruptly from the plains to a height of about 6,000 - 7,000 feet and are clothed in forests. These foothills provide an unparalleled opportunity for some magnificent trekking. From the tops of the higher peaks, some of which rose to over 8,000 feet, he had seen breathtaking views of the vast plains to the south, tangled ridges to the north, and of the snow-peaked ranges which formed the central axis of the Himalayas. He had discovered Nainital only last year when he had come here with Shank, his mate and class fellow at the engineering college. They had stayed briefly with Shank’s uncle in his house in the bush at Kashipur before moving on to stay at the forest lodge at Jim Corbett National Park in Dhikala. Yesterday, they had bathed naked in broad daylight not far from the mid-river temple at Garzia after having a few beers. Like animals in heat, they had hoped to attract the attention of any available females with their foolish antics, but it had been risky as they could have been beaten by visiting pilgrims or locals if caught. Laughing that their stupid endeavor had failed to produce any desirable results, they had arrived in Nainital for a final day of sight-seeing. Rosh had been captivated from the moment he had landed here. In high spirits, both boys had continued to fool around all day. Then tired after a long day’s hike, they had decided to take the cable car down from Snow-View Point to Mallital. Only two trolleys ferry passengers, one each way, travelling in opposite directions to counterbalance their cabin loads of 10-11 people per ride. This 2.5-minute journey provides a panoramic view of the lake while ascending and a bird’s eye view of the flats while descending to Mallital. It was near 4 PM and the cable cars were ready to make their last run of the day. The plan was to take the cable car down to Mallital, then run all the way down to Tallital in time to catch their last bus out of Nainital the same evening so they could be on their way to the engineering college tonight. The next term was beginning day after tomorrow, and they had a train to catch. But they had been running late, cos there had been so much to see and do. Rosh stood at the Ropeway ticket counter and paid for two tickets on the gondola. She looked up at him and smiled warmly, but did not reply. She was older than him, but pretty. “Must be the air up here,” he shrugged. She blushed, but didn’t reprimand him. She was trying to concentrate on counting the cash. “What’s your name?” he asked, emboldened, as she handed him the two tickets and change. He turned and walked away, not expecting a response, but Shank observed that the girl’s face lit up. She beamed at him too. “Why didn’t you ask her phone number?” he asked Rosh after they were up and away in the gondola. “What can I do now?” Rosh asked in desperation. “Will she reply?” Rosh asked unbelievingly. And so, he had written to her, care of the Ropeway Station, Nainital. And forgotten all about it, when no response arrived in mail for over a month. Then the reply had come. In a pink fragrant envelope. In beautiful handwriting. But the words were no reciprocation of his passion, just a sad abstract poem. “That’s the end of it,” he said sadly, as he showed it to Shank. “What should I do?” he asked Shank, pure anguish seizing him again. And so, he had written to her again, this time at the address provided. A sad abstract poem. And received a prompt response. Abstract poems travelled between the love-birds for a few months, and then her invitation arrived. To come and meet her. So here he was, back again in Nainital.